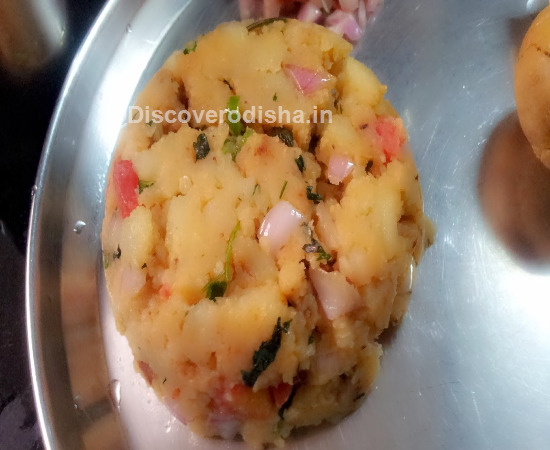 In a bowl add salt, chopped green chilies, coriander leaves with mashed potatoes. Heat oil in a pan. add one red chili and cumin seeds. When the seeds stop spluttering, add chopped garlic and onions.fry onions till soft. Add chopped tomatoes to it.fry till it becomes soft. Then add mashed potatoes and cook for 2-3 minutes. Garnish with coriander leaves.